A Chinese spaceship carrying three astronauts returned safely to Earth on Wednesday morning after spending two weeks on a space mission. The return capsule carrying two male and one female astronaut touched down at 8:07 a.m. local time at the designated area in north China’s Inner Mongolia Autonomous Region. Shenzhou-10, China’s fifth manned spacecraft, took off from the Jiuquan launch centre in the northwestern province of Gansu on June 11. 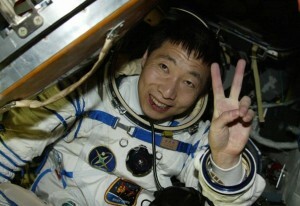 Zhang Youxia, commander-in-chief of China’s manned space programme, said the Shenzhou-10 mission was a “complete success”. This was China’s longest manned space mission and the country is planning to build a permanent manned space station by 2020. During their mission in space the astronauts docked twice with the Tiangong-1 space station, which had been in orbit since September 2011. The Shenzhou-10 is a shuttle craft able to transport astronauts and supplies to orbiting modules. The mission is designed to test docking and astronaut support technologies, as well as capabilities for the construction of a space platform. Wang Zhaoyao, director of China’s manned space programme office, said the country plans to put in orbit an experimental core module of a space station around 2018 and complete the construction of a manned space station by 2020. China’s first manned flight into space was in October 2003 aboard the Shenzhou-5.